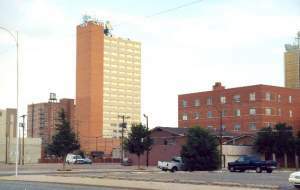 This radio station was located on the top floor of the Great Plains Life Building in downtown Lubbock . It was operated by Larry, Slim and Sky Corbin. Hi Pockets Duncan worked here as a DJ after his KDAV days and Waylon Jennings was also a DJ there. 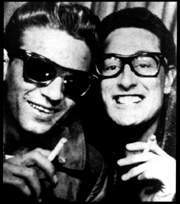 He and Buddy had seen eachother regularly in the early fifties when they both would perform at various talent contests. 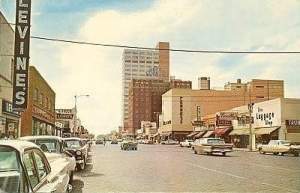 The KLLL studio was Buddy's second home whenever he was in Lubbock in 1958. Already in 1956 Buddy recorded a song in the KLLL studio : “I Forgot To Remember”. A KLLL acetate from 1958 exists with Waylon Jennings singing “Big Time Ladies Man” and “More And More”. He is accompanied by Buddy on guitar. The only wellknown song that Buddy recorded at KLLL is “You're the one”.